Cannabissearch.com Buzz Rating: After smoking this strain through my bong, the high took around 10 minutes to reach peak effect. After that, it was a cerebrally psychedelic and stimulating journey that lasted nearly 2 hours! This bud is the real deal and I'll be going back to Diamond Tree to get some more after this stash is out. These buds are very spectacular to behold and have some of the best bag appeal around. The pistils are a light orange - almost pink - color, while the buds are a light green hue. The buds are also completely enveloped in a thick, sticky layer of trichomes. Don't even bother trying to roll a joint with this, unless you let the buds sit outside of their container for a couple hours. Very sticky and potent buds. These ladies will consume above average amounts of nutrients during vegetation and will love to be fed mass amounts of "nutes" during their 15 to 16 weeks of flowering. It's recommended to only vegetate these ladies for 2 weeks indoors, if you have height concerns. At finish, The Doors can reach up to 7 feet indoors! Outdoors, it can only be grown in the southern hemisphere. 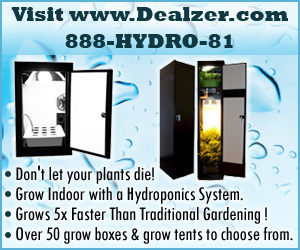 Don't be surprised to see 1 pound per plant indoors and up to 1.5 pounds per plant outdoors in the southern hemisphere. If one has patience, this bud almost cannot be passed up by the indoor grower with lots of room. Even if you don't have lots of room for height, using an LST technique can considerably reduce the height, while increasing the yield. The Doors 0 out of 5 based on 0 ratings. 0 user reviews.